Commissioned by the city of Hayward. Based on the Native American Ohlone tribe craft patterns. Completed in July of 2011. Commissioned by The City of Hayward. Based on the community of Russell City. Inspired by their architecture and music history. Completed in March, 2012. Commissioned by The City of Hayward. 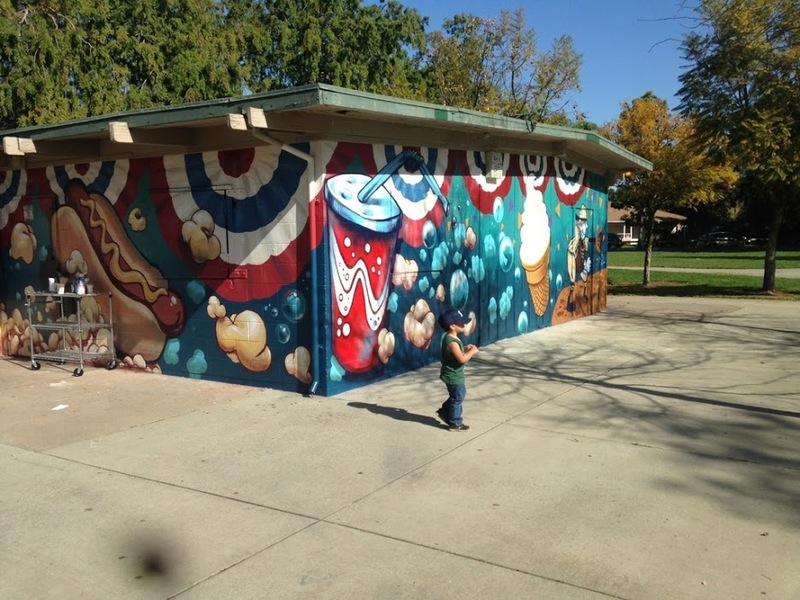 A public park mural showcasing humming birds, and California wildflowers. Completed in November of 2012.